Anna May Wong and Sessue Hayakawa are among the early stars being highlighted by the Philadelphia Asian American Film Festival. 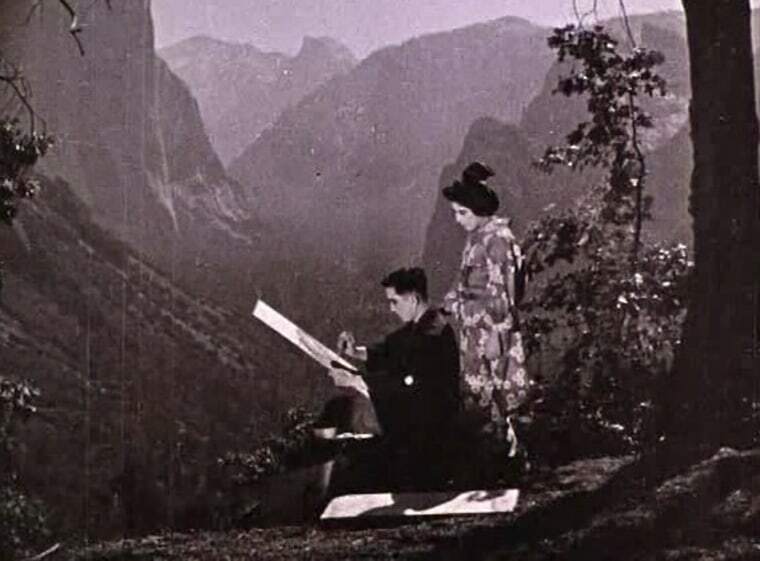 Sessue Hayakawa's "The Dragon Painter" (1919) is considered one of the first Asian-American films. While he is no longer a household name, actor Sessue Hayakawa was once “as popular as Charlie Chaplin and as wealthy as Douglas Fairbanks,” according to Rob Buscher. Buscher has taught classes on Japanese and Asian-American media at Arcadia University and the University of Pennsylvania and is the festival director for the Philadelphia Asian American Film Festival, which this year is scheduled to run from Nov. 9 to Nov. 18. As part of the celebration commemorating the festival’s 10th year, organizers are planning to screen a slate of films starring Asian-American actors who rose to fame during the early years of Hollywood, including Hayakawa. The actor was born in Japan but moved to the United States to attend the University of Chicago to study economics, according to Buscher. While he originally intended to return to Japan after graduating in 1912, Buscher said he decided to stay in Los Angeles just before it was time to board his steamship back after visiting a theater in Little Tokyo. Hayakawa’s star began to rise when Cecil DeMille cast him in “The Cheat,” which was released in 1915 and re-released with changes in 1918. The film follows a bored socialite who makes a deal with a Burmese ivory traitor in order to borrow money. His popularity with female moviegoers in particular allowed him to open his own film studio and have an unusual amount of creative control over his career, Buscher said. The opening night film at this year's festival is scheduled to be 1919's "The Dragon Painter," which was produced by Hayakawa's company. Buscher calls it "one of the first ever Asian-American films." The film stars Hayakawa as a young painter who is convinced his fiancée (portrayed by the actor’s wife Tsuru Aoki) is a princess who has been transformed into a dragon. Another Asian-American performer being showcased at the festival is Anna May Wong, who began acting in 1920s. “She was born in Los Angeles in Chinatown, so she was fully Americanized, yet the kinds of roles she got were highly troped Asian roles that reinforced stereotypes,” Buscher said. Despite the limitations placed on her career, Buscher noted that Wong would become “incredibly famous” in the 1920s. Wong would eventually tire of Hollywood and the parts she was offered and moved to Europe in 1928, Buscher said. Once in England she would make the film “Piccadilly,” a noir murder mystery. Throughout the festival's selected films, audiences can also see how Asian-ness and perceived foreignness were used by directors to exotify the actors highlighted, such as with the South Asian actor "Sabu," who Buscher said was "one of the most known actors in the United States" in the '30s and '40s. Sabu’s most famous film was 1940's "The Thief of Bagdad," which began filming in England but then moved to Hollywood after World War II began. “While he’s in Hollywood, he gets a lot of attention. He became the original Mowgli,” Buscher said, referencing 1942's film adaptation of "Jungle Book." Several movie deals followed. Particular attention was paid to Sabu’s looks and physique, with many directors casting him in roles that required him to be shirtless while portraying a multitude of South Asian and Pacific Islander ethnicities, Buscher noted.